Jeju Island of South Korea is known for many things: the adult-themed sculpture park, Loveland, the rapeseed fields that bloom during April, and the stellar beaches that allow you to watch the sunset over the peak of a volcano. Family oriented activities throughout the volcanic island make this the perfect place to go on family trips. You can hike up Hallasan, the highest mountain in South Korea, which has a very gradual slope and is perfect for younger hikers, or you can visit the Kimnyoung Maze Park, a hedge maze that attracts tourists from all over the world. Finally, once the kids are asleep or out playing with other supervisors, adults can visit Loveland and explore this unique place “where love oriented art and eroticism meet”. 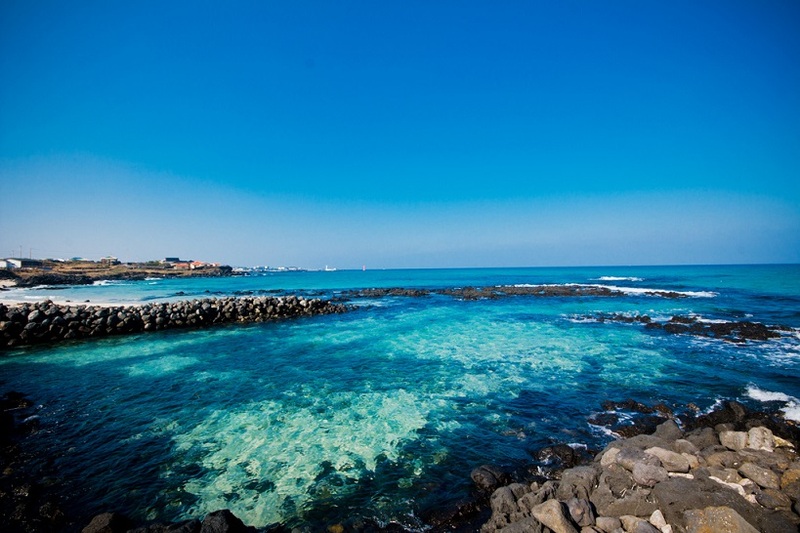 Jeju island is beautiful and fun for all ages. If you can, go during April when the blooming rapeseed fields have carpeted the island in hues of yellow. 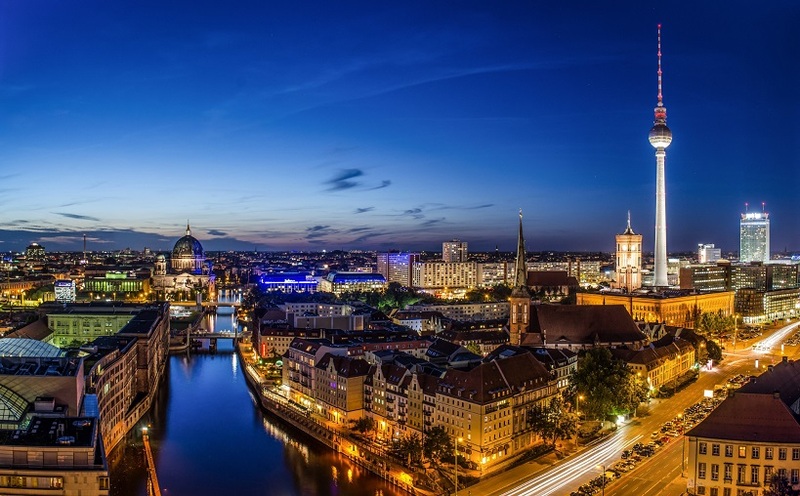 Berlin is the capital city of Germany and also its most populated, making it a very busy and fun place to be. So much so that Berlin is actually known for being a nightlife city — many techno clubs started becoming really popular in Berlin after the fall of the Berlin Wall. But if techno isn’t your thing, there are still many bars around the area that are booming with people all throughout the night on any weekend, which makes meeting people and having a fun time much easier. During the daytime though, you can visit the museums and monuments for a look into the history of Berlin. The Palace of Tears is an historical exhibition museum that retells stories of people who tried to smuggle goods across the city during the cold war that is really worth a visit if you want to hear a very honest and accurate description of what it was really like for the East and West Germans during this time. You can also visit the Berlin Wall Memorial to see what remains of the wall that divided the city before, and see how it would feel being on one side rather than the other. Berlin is the city to go to if you are looking to learn a bit about Germany’s history while having some fun during the night! 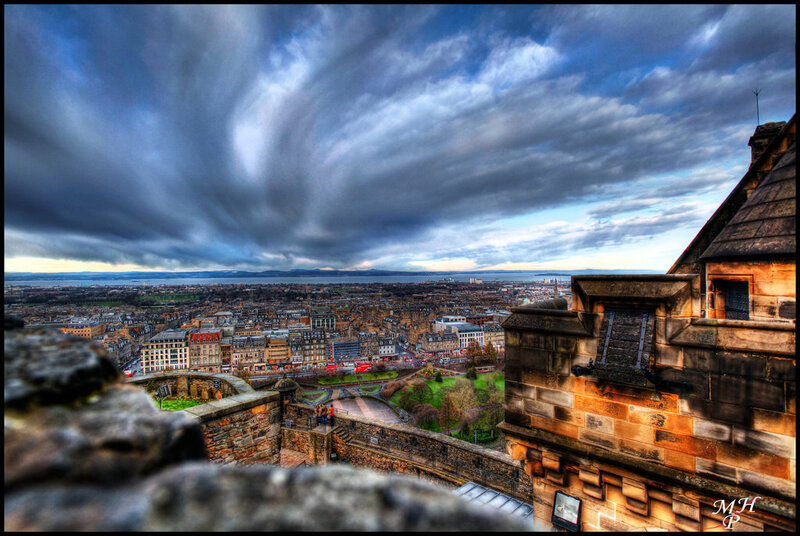 Edinburgh is the capital city of Scotland and is known for its division of the Old Town and the New Town. The Old Town is a place for history nuts and people who want to take a look at what medieval streets may have looked; Edinburgh’s Old Town is known for their efforts at preserving the medieval street plans and buildings. That being said, the entrance to the Old Town lays next to a castle and stretches all the way down to the old mines, with churches and huts along the way. The New Town was Scotland’s solution to an influx of immigrants with no place to live, and was created with more urban buildings and plannings — apartments laid next to each other with no room in between. It has many attractions such as Zoos, Museums, and art galleries that bring tourists in all the time. 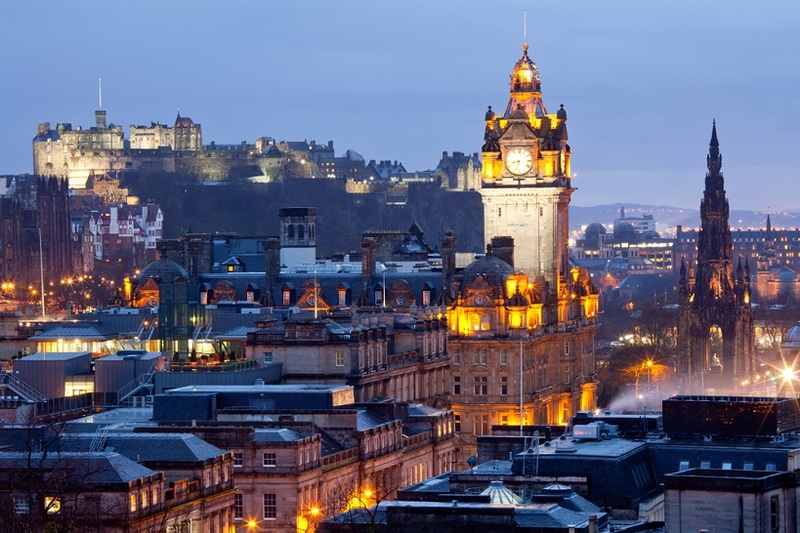 So whether you’re going to the Old Town to take a look at the castles and vaults, or the New Town to check out the zoos and museums, or doing both, Edinburgh is a place you have to see! Considered to be one of the world’s most sacred sites, Easter Island is most famous for its enigmatic giant stone busts known as Moai statues (pictured above), which reflect the rise and fall of the island’s isolated Polynesian culture. 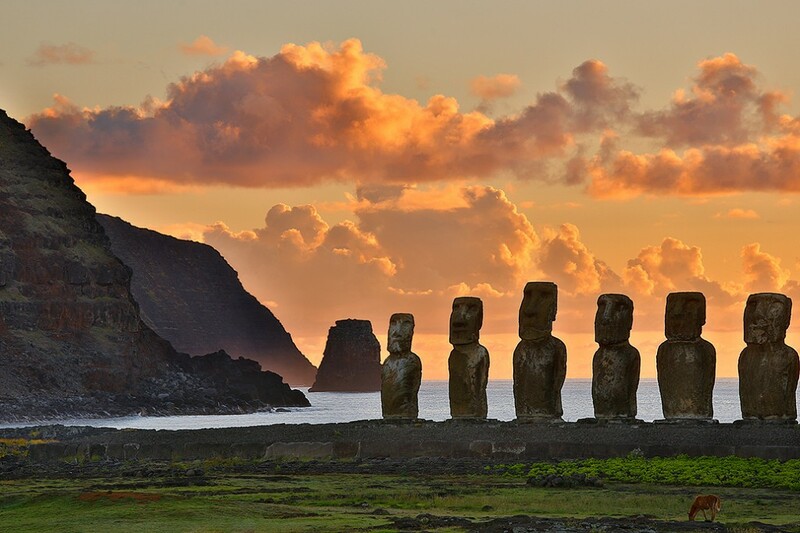 Resting far off of the Chilean coast in the Pacific Ocean, Easter Island is small but rich with fascinating history and a still thriving culture. Moai archaeological sites located almost everywhere on the island, often overlooking ceremonial platforms and burials called “Ahu.” Aside from the statues, other features of Easter Island include the volcanic craters of Rano Kau and Rano Raraku, the sandy white beaches of Anakena and Ovahe, and the extensive cave systems found near Ana Kakenga. Look no further for an adventure full of explorations and cultural immersion, on this island that French explorer Alphonse Pinart named the ‘Navel of the World’. 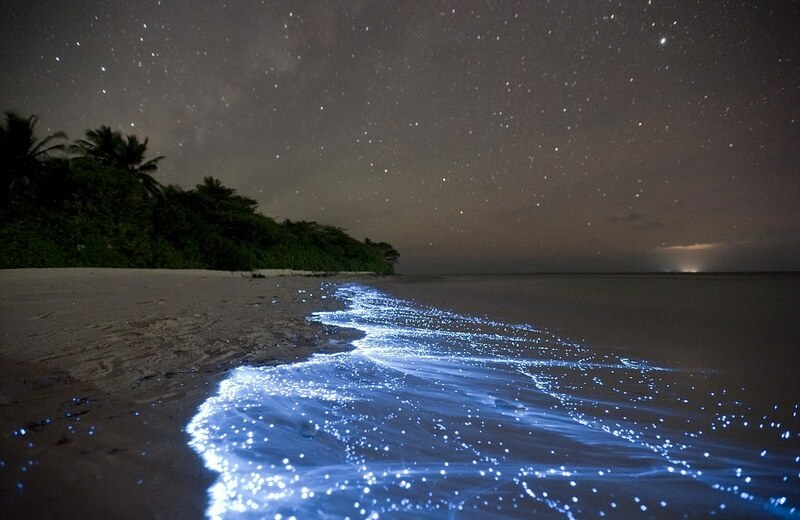 Pictured above are bioluminescent phytoplankton, marine microbes who left this unbelievable display on the majestic island beaches of the Maldives last year. The Maldives are a group of islands in the Republic of Maldives, which belongs to India. In the middle of the Indian Ocean trade route, history has brought different peoples and practices in contact with the islands throughout history, giving its own citizens a fascinating blend of language, beliefs, art and lifestyle. The Maldives are a prime spot to vacation, whether your goal is to escape from pace of everyday life, or to dive and explore the micro-universe underwater. At Manta Point, you’ll see manta rays and reef fish, as well as white-tipped sharks and eagle rays, which are hard to come by. Another must-see spot is Sun Island Beach where you stay in a beach bungalow and wake up to the ocean at your door. Stress and frustration will be long gone once you step foot on any of these gorgeous islands. The entrance into the ‘Lost City’ of Petra is through a narrow gorge, cut into soaring high cliffs of red sandstone. The ancient Jordanian city is literally chiseled into rock within the area of Wadi Musa—imagine someone turning the Grand Canyon into a series of temples, tombs and houses. The structures of Petra are unbelievable to behold, their cuts into the rock made with such perfection that architects from all over the world come to see the work. The reds and pinks of the sandstone create a gorgeous exterior entrance and the angles of the canyons cast beautiful shadows and highlights throughout the day. 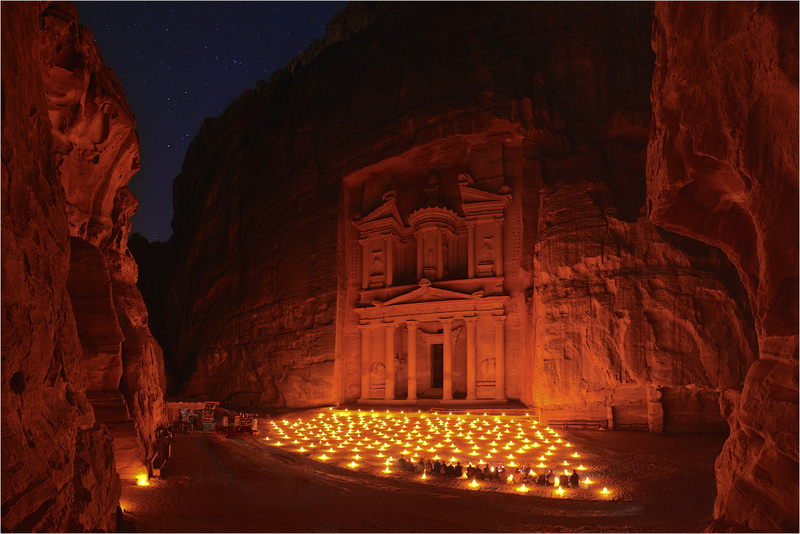 A tour of Petra allows you visit tombs, monasteries, and government buildings, all rock-cut to perfection. The natural beauty of the site and the intricacy of its carvings, hidden away in the mountain gorges since prehistoric times, will leave you breathless. Iconic architecture, stylish citizens, glorious food, and the Masters of the Arts—all found here, in the City of Love. 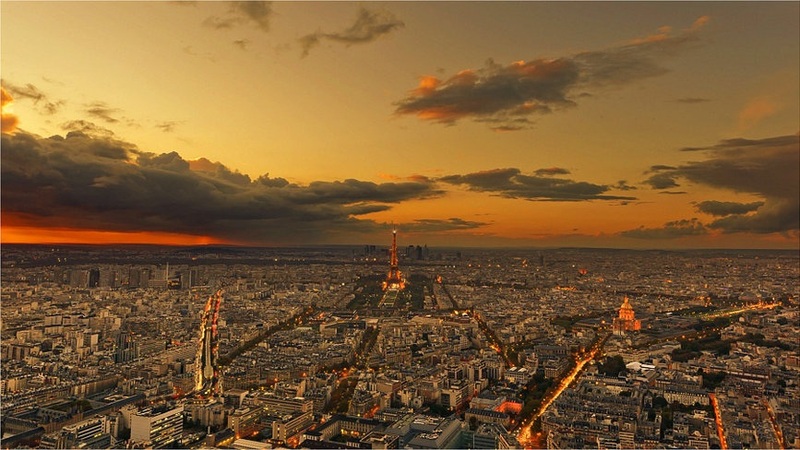 Paris is an undeniably beautiful city, in all seasons, both day and night. Whether it’s the view from the oh-so-famous Eiffel Tower looking out across the glowing city lights, or the gargoyle Notre Dame, the twinkling Champs-Elysees avenue, or a serene stroll along the Seine, you are sure to be seduced by Paris. After viewing timeless masterpieces inside the Louvre, walk through one of the quartiers until you find a boulangerie, buy some bread and cheese and enjoy a picturesque picnic under a leafy tree at the Jardin du Luxembourg. Tour the famous museums, check out uberhip designer shops, and dine al fresco at exotic restaurants, and you’ll see why this city has earned its reputation for being the most romantic in the world. The Louvre, one of the most popular attractions in Paris, is a glass pyramid museum showcasing some of the world’s most famous art. Measuring a total of 652,000 square feet, the Louvre offers over 35,000 objects, historical and contemporary, for your viewing pleasure—one of these is the well-known, gently smirking Mona Lisa. The Louvre is made with over 600 pieces of glass and is truly an architectural beauty. More than 8 million visitors see the collections here each year, representing ancient cultures of Egypt, the near East, Greece and Rome, and the Islamic empire. The art forms range from painting, prints and drawing to sculpture and decorative arts. After seeing its interior contents, be sure to spend some time contemplating the simply beauty of the glass structure itself—at night, the glow of the pyramid makes for an incredibly romantic backdrop. The steep walls of the Grand Canyon, carved out naturally over time by the Colorado River, reveal 19 distinct physiographic sections of rock from the Colorado Plateau. 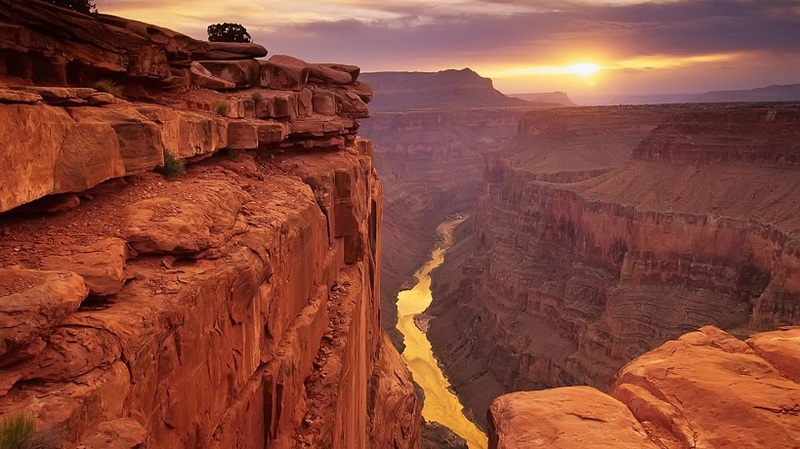 Located in Arizona, the canyon is one of the seven Natural Wonders of the World, and has a history of human inhabitance dating back to at least 1200 BCE. From the rim to the bottom of the gorge, the colorful striations of different rock layers tell the geological history of the canyon and how it has changed, and grown, over time. At the visitor center, you can learn more about the indigenous people that first made the canyon their home, as well as their descendants who still populate the area in small, remote villages along the river valley. If you’re extremely adventurous (and fit), you can hike 8 miles into the village of Supai, one of two places in the US—the other being Phantom Ranch, further up the canyon—where mail is still carried in and out by mule trains. Rome the capital city of Italy and is known for its rich history, which spans over two and a half millennia. Ancient Rome was a thriving city whose famous denizens, such as Julius Caesar, Augustus, and the poet Virgil, are still studied heavily throughout academia. 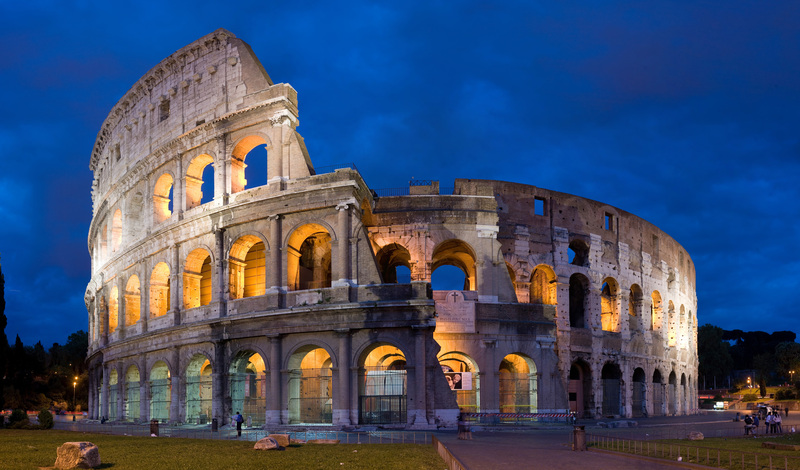 Now often called ‘The Eternal City,’ Rome today is one of the most important tourist destinations around the world. This being said, it can be very crowded during the high season, but that should not deter you. The art and architecture of Rome’s museums and historical sites, as well as its food, landscape, and culture, are known internationally. The Colosseum, where the ancient Roman Gladiators used to fight for the entertainment of emperors and citizens, is one of the world’s Seven Wonders. Unique renaissance architecture is found throughout Rome, as well as religious sites such as the Vatican, the Pantheon and many churches and cathedrals. There is so much to do and see in Rome, you probably wont be able to fit everything in during one trip—but that just means you’ll have several return visits to look forward to. 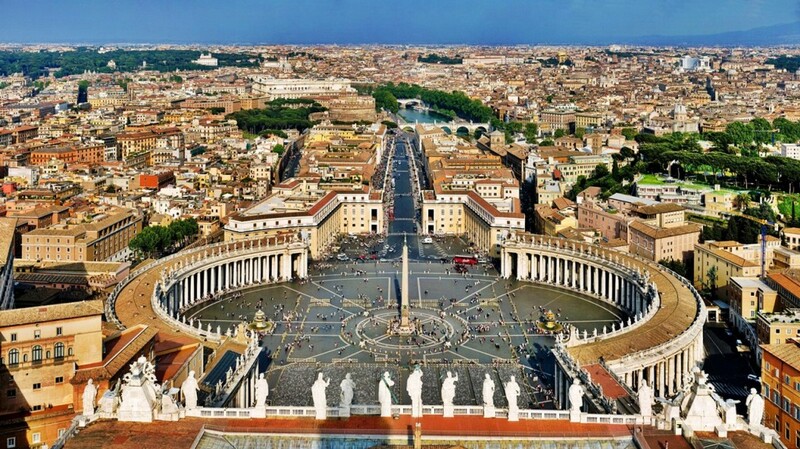 The Vatican City gets its own recognition not only because it is the smallest independent city state in the world, but also because it is one of the most influential, thanks to the Pope. A must-see location within Vatican City is the Apostolic Palace, where the Pope himself resides. This contains the most famous chapel of Rome, the Sistine Chapel, whose beautiful frescoes lining the ceiling and walls and is believed to be Michelangelo’s most significant achievement as a painter. The Vatican Museums should be also on your list. Here, you’ll get a grand tour of the Vatican Gardens and other treasures that the city holds dear, including some of the most famous art on the planet.